We thank the Andrew’s Government for keeping its commitment to review a number of Victoria’s Environmental laws and to ensure our States’ biodiversity and environment is protected adequately. Australian Wildlife Protection Council Inc members attended DEWLP community consultation meetings recently. There was a lack of representation of wildlife species as a valued measure of biodiversity. 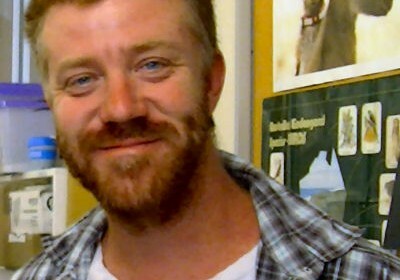 Birdlife Australia was the only wildlife advocate represented. Despite the lack of wildlife groups, Victorian Farmers Federation (VFF) were highlighted in both the draft paper and at the community consultation meetings. This augers poorly for Victoria’s biodiversity. Victorians acting for Nature – It is an abiding principle that all Victorians should interact with Victoria’s biodiversity and connect with nature, as often as possible. But what do we consider to be good interactions ? It was suggested interactions the public could have with biodiversity and with animals is hunting and fishing. We are most concerned by this statement. How does DEWLP consider hunting & fishing beneficial to people, and how does it enhance Victoria’s biodiversity and environment? It is in our view that activities like hunting are inhumane to wildlife, destructive to the environment and restrictive to other users and groups accessing nature. When it comes to encouraging people to connect with nature and to wildlife, DEWLP and the Victorian Government should instead encourage people to join wildlife care/rescue groups and wildlife survey groups. Volunteering and working to rescue wildlife can be beneficial in many ways, but it also can be exhausting and draining for those who fight to defend native animals. Therefore, it is important that DEWLP and the Victorian government support volunteers wherever possible. Other Management Challenges (Better, Smarter Management of our Biodiversity) In order to save biodiversity, we need to plan for and understand our Ecological Vegetation Classes, and Fauna and Flora instead of trying to control/manage them. The decline of biodiversity and other management challenges listed on page 71 of the draft (including native environmental weeds, over abundant wildlife, pest animals and weeds as well as managing bushfires) share the same failings. It is the way that we as a species exploit the environment for a myriad of reasons. We cannot manage or control flora and fauna species to an equal balance, especially when we do not address actions that we as a society create. These create imbalances more often than not which leads to more local extinctions. In the draft Report about kangaroos, Noisy Minors and sweet pittosporums are listed as native species that have become a problem. Kangaroos are listed in the draft as ‘can exert high grazing pressure on native plants and wild flowers, a bit like rabbits, and can destroy habitat that ground dwelling native animals may need to survive’. Where is the evidence for this statement? It is on the Departments’ website, in a case study about the Woodlands Historic Park! Kangaroos were fenced in for the reintroduction of Eastern Barred Bandicoots? Kangaroos are a species that move across the environment grazing short grass and reducing fuel loads. Fencing this animal in, and reducing its capacity to move through the landscape will have a negative effect on the landscape. However the environmental effects are not only going to be limited to areas where the animal is restricted. It will also have an environmental impact from where the animals have been restricted. Noisy minors are mentioned in the draft as ‘a native honeyeater that aggressively excludes other native birds from favoured woodland habitat. Where woodland has declined or become fragmented, competition for habitat resources increases; the Noisy minor has a significant impact on the survival of other birds.’ It is nor the Noisy minor that is the problem, but woodlands decline, fragmentation and the need for increased resources. Native plants like pittosporums and other noxious weeds have become important habitat for both plants & animals. While it is important to remove these plants, its’ more important to do so in a sensitive manner, one that does not further impact on our biodiversity. Sweet pittosporum can be important nesting habitat for the Eastern Yellow Robins, while Cherry ballarts (an epiphyte shrub) can use its roots to grow from pittosporums. Threatened species National Threatened Species Day is the 7th September each year. It is celebrated or commiserated (depending on your view), as it was the day the last Tasmanian tiger died, forever relegated to the pages of history. We should and can learn from this sad episode in our nation’s history. Tasmanian Tigers were hunted to extinction primarily because they were perceived as a pest. In 2016 the Vic Government approved the cull of 25,000 kangaroos for the pet food industry’s ongoing trial. The sober reality is there is no known population of kangaroo numbers in Victoria. Do we accept such drastic decisions about our wildlife, when we don’t even know the facts about the kangaroo species. It’s time to review a department responsible for both the protection of kangaroos and issues An Authority to Control (Kill) Wildlife Permits (ATCW). The responsibility we have is to fight extinction and ensure the survival of our heritage. I have two daughters age 10 and 7. In their lifetime, it’s become just about impossible for them to view an Orange bellied parrot in the wild, or a southern brown bandicoot on the Mornington Peninsula. It is essential that we have up to date recovery plans and action statements for all threatened species and implement them for future generations. Linking our society and economy to the environment, In stead of linking our society and economy to the environment we should instead be linking our society, health, well being, heritage and history to and with the environment. There is more to the environment than having a financial need. There will be opportunities for those who wish pay for an experience in nature, but importantly to understand is that Victoria’s biodiversity and environment values has other qualities than those of a financial one. The costs of logging old growth forests in the central highlands and East Gippsland are outdated. They continue to push threatened species closer to extinction. One such animal is the Leadbeaters possum, it was rediscovered over 20 years after it was thought to be extinct. The possum was rediscovered in the central highlands, where its prime habitat is being logged. The rediscovery of the Leadbeaters or fairy possum was a big deal at the time and as such named Victoria’s faunal emblem. It actually was the first flora and faunal emblem used in Australia. How does any extractive industry (especially one that runs at a cost such as Vic forests) account for the loss of a species, like that of the Leadbeaters possum. 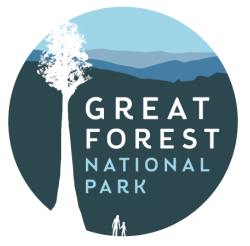 So we call for the creation of the Great Forest National Park in the Central highlands. We also call for investment in to the renewable energy sector and the phasing out of the out dated energy sectors that cause climate change causing pollutions. This environmental counting will give species threatened with extinction from climate change a better chance of survival into the future. We would like to know if environmental accounting takes into account the financial sacrifices of those who rescue wildlife or defend the environment in VCAT or many other court proceedings? One such group is Save Tootgarook Swamp Inc, who have a VCAT hearing coming up P2704/2015 which is a development application which still has out standing enforcement orders for clearing habitat for the critically endangered Australasian bittern. Ministers forward – Don’t let this draft document become nothing like other previous drafts, white and green papers before it, from previous governments. The more ministers who write about the values of our environment only to leave office with the environment in a worse state. We’ll makes new efforts and obtain statements from future politicians look like mere rhetoric. We thank the government for this opportunity to contribute to the future of Victoria’s Biodiversity 2036.